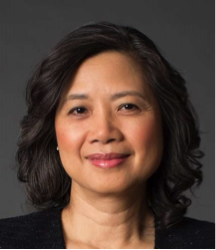 Angela Y. Lee joined the marketing faculty at the Kellogg School in 1995 and was named the Mechthild Esser Nemmers Professor of Marketing in 2007. Angela is a consumer psychologist. Her expertise is in consumer learning, emotions and motivations. Her research focuses on the conscious and nonconscious influences of memory, cross-cultural consumer psychology, self-concepts and persuasion. She was the recipient of the 2006 Stanley Reiter Best Paper Award for her research on self-regulation, and the 2002 Otto Klineberg Award for the best paper on international and intercultural relations. Angela is a fellow of the Society of Experimental Social Psychology and a past president of the Association for Consumer Research. She currently serves on the editorial policy board of the Journal of Association for Consumer Research, as well as the editorial review boards of the Journal of Consumer Research, the Journal of Marketing Research, and the Journal of Consumer Psychology. Angela is a native of Hong Kong where she worked as a fund raising consultant for nonprofit organizations before entering academia. She holds a BBA degree in Marketing and Travel Industry Management from the University of Hawaii, an MPhil in Economics from the University of Hong Kong, and a PhD in Marketing from the University of Toronto. Breast Cancer affects two generations of women in my family. I’d like to be part of the team to support BCH’s cause.